It's no secret that people are keeping their vehicles longer and driving them farther than ever before. Because we want you to be our customer for life, our dealership is proud to offer pro-certified lifetime warranty at no additional cost. You're covered from the day you drive it off the lot until you trade it in. 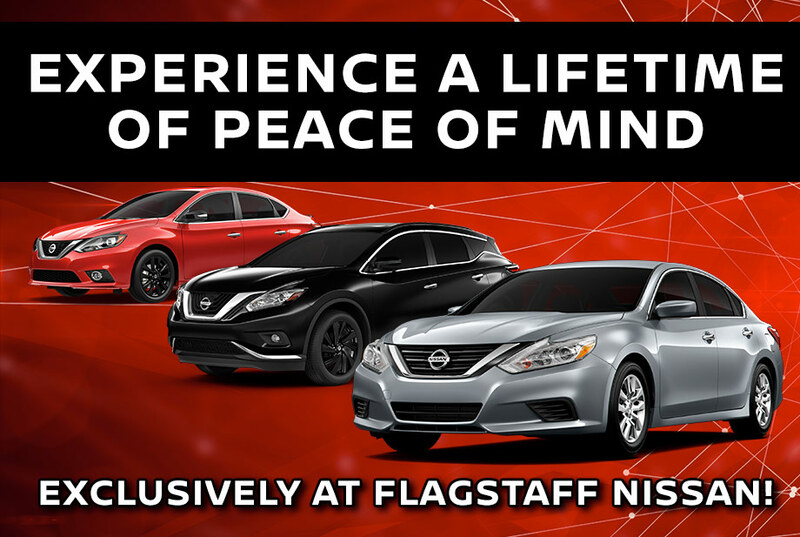 Experience a lifetime peace of mind when you purchase a new Nissan from Flagstaff Nissan. For more information, call 866-342-7917.